The first week of October is Financial Planning Week, a time set aside each year to promote sound financial planning habits. 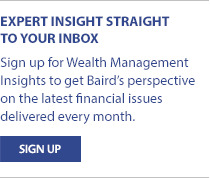 This month’s Wealth Management Insights looks at the basics of financial planning – and the steps you can take to achieve what you want in life. The first step to creating a proactive financial plan is getting a handle on household income and expenses. That means creating a budget. Become a financial detective. Go through your statements from the past three months, and see if there are activities or expenses that no longer fit your lifestyle. Do you subscribe to magazines you no longer read, or pay for premium cable channels you no longer watch? Eliminating services you don’t use is an easy way to improve your bottom line. Re-examine the necessities, and make sure you’re not paying more than you need to. For example, shopping around for a lower rate on your credit card could save you thousands in interest over time. Also, your auto insurance needs may have changed as your car has gotten older. Reduce your interest expense on debt by tackling loans with the highest interest rate first, typically credit card and auto loans, and paying the minimum on the others. As the high-interest rate loan is paid off, apply those payments to the balance with the next highest rate. Open a savings account, and let compound interest work in your favor. Once you’ve optimized your budget, try putting money away every month. Instructing your financial institution to automatically deposit some of your paycheck into savings allows you to save without feeling like you’re sacrificing. Establish an emergency fund. $1,000 is a good goal to start, but experts recommend saving enough to cover three to six months’ worth of expenses – more if you have unpredictable or irregular income. Look ahead. If you foresee larger expenses on the horizon, like holiday shopping, a tax bill or a vacation, try to plan – and save – accordingly, considering your time horizon and needs for cash. A little financial preparedness and savvy can pay big dividends. Prepare for life after you stop working. 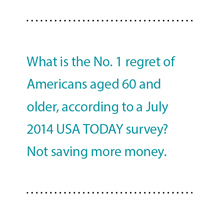 The sooner you start planning for retirement, the longer you can benefit from compounding and reinvestment. Also, applying for long term care insurance before you need it may give you options you might not have otherwise. Considering a year-end donation to a favorite charity? Rather than cutting a check, see if you have investments with gains. By donating those items, you can avoid the capital gains tax and invest the cash you were planning to give. Create a safety net. The future is uncertain – having robust personal property, disability and life insurance policies can help make sure your family will be cared for in a financial emergency. An effective financial plan requires you to take an impartial look at your finances and how realistic your goals are. Fortunately, you don’t have to do it alone. Your Baird Financial Advisor can inject some objectivity into your plans and help make sure they are both well-grounded and achievable.